The CPPF is honored and delighted to introduce some of our many talented Palestinian students who we are currently sponsoring, in collaboration mainly with UNRWA USA. The featured student list includes also students who were sponsored in collaboration with Hope Fund. Halah is from Gaza and currently a first year student in the Medical College at the Islamic University and expected to graduate in 2020. 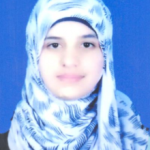 Sama is from the Gaza Strip, Palestine and currently a student at Al-Azhar University. She is in her third year of studying Medicine. Her average is 96% and hoping to complete her graduate degree in 2020. Huda is from the Gaza Strip. She is attending Islamic University, double majoring in Education and Science with 93.30% average, and is anticipated to graduate in 2019. Mr. Morshed Alnassar scholarship: Nour is from the West Bank, Palestine and currently a student at Birzeit University. She is majoring in English language and Literature. She has an average of 98.3% and hoping to complete her graduate degree in 2019. Iman is from the Jenin, Palestine and currently a student at Arab American University. She is majoring in Mathematics and Statistics. She has an average of 93.7% and hoping to complete her graduate degree in 2019. Mr. Ahmad Hasan Shahin scholarship: Firas is from the West Bank, Palestine and currently a student at Polytechnic University. He’s majoring in Accounting with an average of: 92.1%. Firas will be graduating in 2019. Mohd is from the Gaza, Palestine and currently a Medical student at Islamic University. He has an average of: 98.7%. Mohd will be graduating in 2022. Mohammed is from the Gaza, Palestine and currently a student at Al Azhar University. He’s majoring in Medicine with an average of: 98.1%. Mohammed will be graduating in 2020. 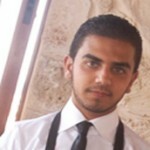 Home Pillars Sponsorship: Suhaib is from the Gaza, Palestine and currently a student at Palestine University. He’s majoring in Pharmaceutical Science with an average of: 97.3%. Suhaib will be graduating in 2021. Mr. Fathi Abufara Sponsorship: Isra is from the Gaza, Palestine and currently a student at Al Azhar University. She’s majoring in Business with an average of: 96.2%. Isra will be graduating in 2020. Mr. Bader Shawawra Sponsorship: Hanin is from the Gaza, Palestine and currently a student at the Islamic University. She’s majoring in English with an average of: 85.3%. Hanin will be graduating in 2019. Karmel is from the West Bank, Palestine and currently a student at The Arab American. She’s majoring in Nursing with an average of: 97.6%. Shayma is from the West Bank, Bethlehem. She is majoring in Midwifery. She will be graduating in 2020. Mr. Mohanad Sawan Scholarship: Hamza is from the Gaza Strip. He is studying Engineering of Information Technology at Al Azhar University. He will be graduating in 2022. Muath is from the West Bank. He is majoring in Physics at Birzeit University. He will be graduating in 2021. Hamzeh is from the West Bank studying the English Language & Literature at Birzeit University. He will be graduating in 2021. Beesan is from the West Bank. She is studying Nursing at Hebron University. She will be graduating in 2021. Dr. Ragheed Mitri Dr. & Ahmed Teebi Scholarship: Mouath is from NewAskar camp, Nablus, West Bank. 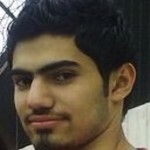 He is the first student to be awarded Dr. Ahmed Teebi scholarship in medicine. Mouath will graduate in 2021. Amal is a first year student majoring in Communication Technology at the University College of Applied Sciences in the Gaza Strip, Palestine. Graduating 2019. Aya is from the Gaza Strip, Palestine. 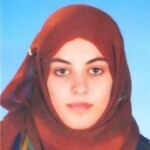 Aya is majoring English language at Al-Aqsa University. Graduating 2019. Omar is from the Gaza Strip, Palestine. 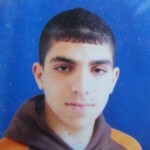 Omar is majoring English language at Al-Aqsa University. Graduating 2019. Nawal is from the West Bank, Palestine and currently a student at Birzeit University. She is majoring in English language and Literature. She has a average of 97.8% and hoping to complete her graduate degree in 2019. Mr. Zaki Hamadi scholarship: Wa’dallah is a second year student majoring in the Accounting program at An-Najah University in the West Bank. His average is 97.3% and will be graduating in 2019. Dana is a second year student majoring in Banking and Finance at the Birzeit University in the West Bank. Her average is: 97.2% and will be graduating in 2019. 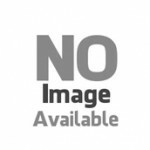 Jinan is a second year student majoring in Computerized Information Systems at An-Najah University. She has an average of: 94.3% and will graduate in 2019. Bara’a is a second year student majoring Law at Birzeit University. Her average is 94.1% and will be graduating in 2019. Mrs. Lina Kalaoui Sponsorship: Dalia is a second year student majoring Medical at An Najah University. Her average is 96.9% and will be graduating in 2020. 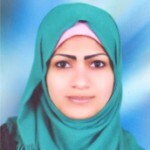 Mrs. Farah Fathi Sponsorship: Tawbah is a second year student majoring Law at An Najah University. Her average is 95.6% and will be graduating in 2020. Mr. Montasir Abdo Sponsorship: Haneen is a second year student majoring Civil Engineering at Palestine Tech.U-Kadoorie University. Her average is 94.3% and will be graduating in 2020. 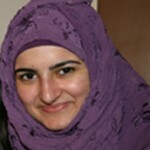 Taqwa is from the Gaza, Palestine and currently a student at College of Applied Science. She’s majoring in Nursing with an average of: 95.3%. Taqwa will be graduating in 2020. 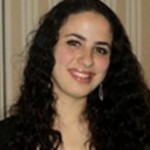 Maiseh is from the West Bank, Palestine and currently studying to become a Pharmacist. She’s a student at Hebron University. Maiseh will be graduating in 2020. 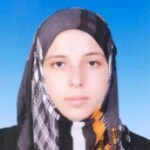 Tawbah is a second year student majoring Business Administaration at Palestine Tech.U-Kadoorie University. Her average is 93.3% and will be graduating in 2020. Azhar is from the West Bank. He is studying Business Administration at Palestine Technology University- Kadoorie. He will be graduating in 2020. Razan is from the Gaza Strip. She is studying Basic Education at the Islamic University. She will be graduating in 2021. Taif is from the Gaza Strip. 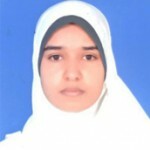 She is studying Business and English at Al Azhar University. She will be graduating in 2021. Mrs. Dina Jaghoub Scholarship: Ibrahim is from the West Bank. 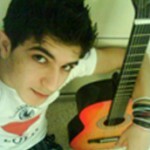 He is studying Medicine at Al Najah University. He will be graduating in 2023.